On Thursday, July 10, 2008 a federal court jury returned verdicts totaling nearly $11 million against the City of Zanesville, Ohio, Muskingum County, Ohio, and the East Muskingum Water Authority for illegally denying water service to a predominately African-American community on the basis of race. 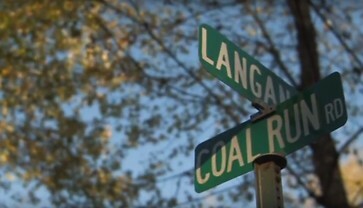 The sixty-seven plaintiffs in the case had alleged that the City of Zanesville, Muskingum County, and the East Muskingum Water Authority refused to provide them public water service for over fifty years because they live in Coal Run, the one predominately African-American neighborhood in a virtually all-white county. The Coal Run plaintiffs live within one mile of public water lines alongside the Zanesville city limits, but were denied public water service for nearly fifty years. As a result, they had to haul water from the city, collect rainwater, and store water in cisterns, where it often became dangerous for consumption. During the same time period, white residents on the same street were provided with water. When plaintiffs repeated their requests for water to Muskingum County, a Commissioner stated that they would not get water “until President Bush drops spiral bombs in the holler.” Each one of the sixty-seven individual plaintiffs described the hardships caused by living with the continuous practice of discrimination and without water for up to five decades. The jury also awarded $80,000 in damages to Fair Housing Advocates Association, a fair housing agency that assisted the plaintiffs by conducting an investigation and assisting them with their administrative complaints before the Ohio Civil Rights Commission. The Ohio Civil Rights Commission was also a plaintiff in the case, having earlier found probable cause that the defendants discriminated against plaintiffs, and received a verdict in its favor. Kennedy v. City of Zanesville, No. 2:03-cv-1047 (S.D. Ohio).